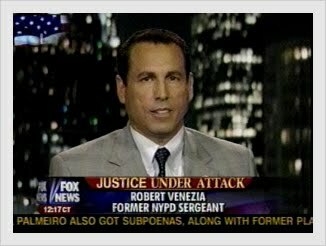 Robert Venezia founded Venezia Investigative Services after a distinguished career as New York City Police Sergeant. As president of the firm, he analyses, coordinates and directs all investigations. During Mr. Venezia’s lifetime of investigative work, he has established a worldwide network of professional investigators from the law enforcement community and the business world. Mr. Venezia uses this vast resource of experience and knowledge in all of the investigations he coordinates. Mr. Venezia began his law enforcement career in 1981 at the New York City Police Department working as a patrol officer in the Times Square and the Hell’s Kitchen area of Midtown Manhattan. From there, he was assigned to the Lower East Side’s 9th Police Precinct where Mr. Venezia concentrated his efforts towards narcotic enforcement. After Mr. Venezia’s promotion to the rank of Sergeant, he was assigned to the Harlem district where he supervised and coordinated the efforts of entire neighborhood units, addressing a wide range of criminal activities. During Mr. Venezia’s career with the N.Y.P.D. he has been asked to serve as an instructor at the Police Academy and as a trainer for divisions of newly appointed Police Officers. Based on his efforts Mr. Venezia was awarded the Medal for Valor, one of the New York City Police Department’s highest awards. He has also received numerous citations and commendations for the successful apprehension of armed and dangerous suspects, as well as many lifesaving rescue efforts. Mr. Venezia is currently an active member of the New York City Police Department’s prestigious New York Police Department Honor Legion, The New York Police Department Emerald Society and the California Association of Licensed Investigators.